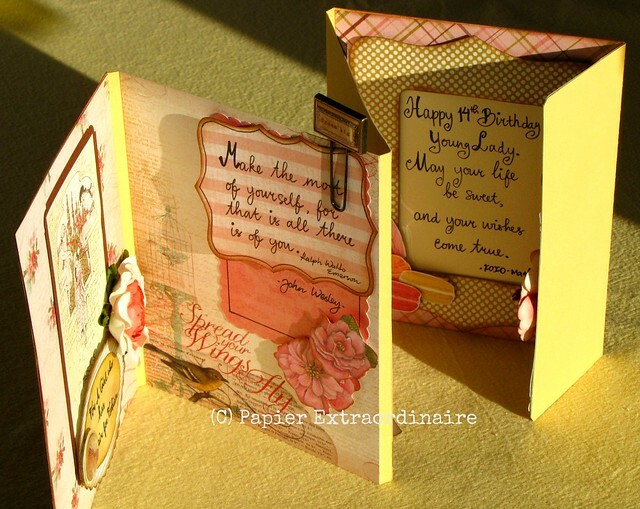 My handmade cards, boxes etc. Khalil Gibran has inspired me through his beautiful poems about friendship. 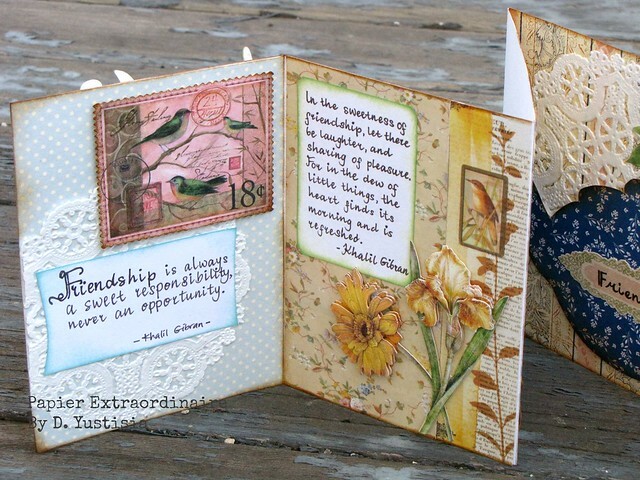 That inspiration got me thinking to create something and I made it into a friendship card. 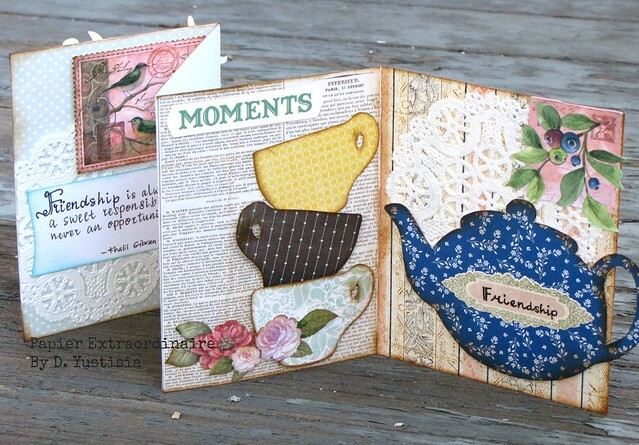 The card was my artworks swap with a friend that I know through my crafter friends. Although we haven’t really met in person, but I admire her artworks of her drawings and also her craft works from the photos she shares. 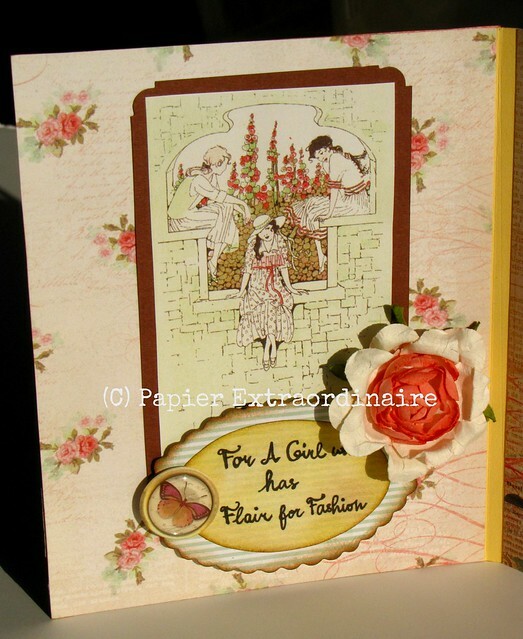 She looks like a romantic person by looking at her favorite things that she posted, that’s why I made the card with floral theme and a touch of English country-style with the pot and cups. I was sure she’d love it and she did. “In the sweetness of friendship, let there be laughter, and sharing of pleasures. 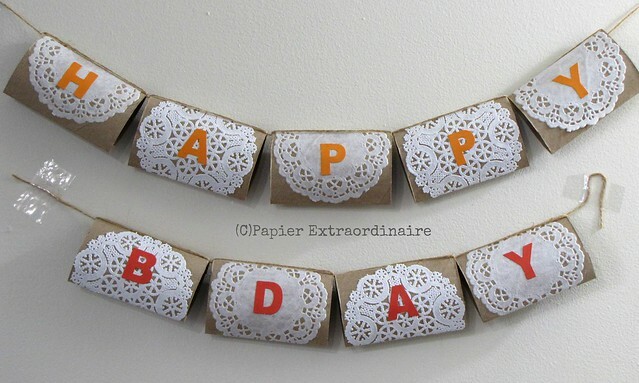 When my daughter’s birthday was approaching, I wanted to decorate her room with something that says “HAPPY BIRTHDAY”. Although we didn’t celebrate it with a party, I wanted to create some banners for her. My idea was to re-purpose some toilet tissue rolls that I’ve been saving. 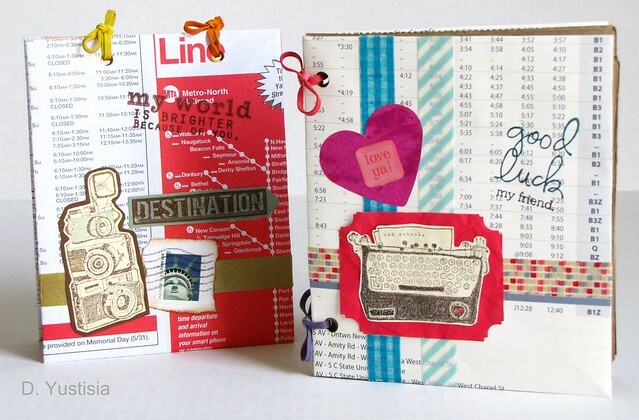 The materials that I used were easy to find and simple and I was so happy with the result. The banner looks so pretty! String, ribbon or yarn ( I used jute string). Flatten all the tissue rolls. Adhere the paper doilies on each of the tissue rolls. Place them in pattern or differently to accentuate. 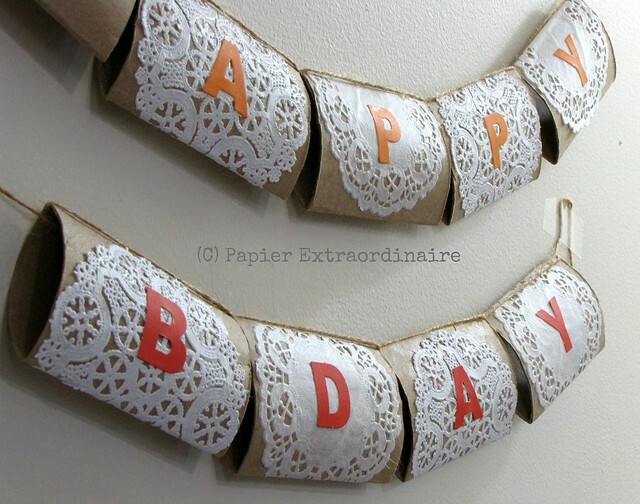 Arrange the decorated tissue rolls in pattern, then adhere the alphabets with the intended spelling (mine is HAPPY BDAY). Insert the string into the roll with the last alphabet in the line-up, first, then take out the string, make a loop and insert the string back. Repeat this action for the rests of the rolls. Arrange the banner on the wall to decorate your celebration. In the spirit of the Earth Day, I created a hanging scrapbook box with recycle materials. The idea has been on my mind for a long time, but just recently that I created it waiting for the perfect moment. 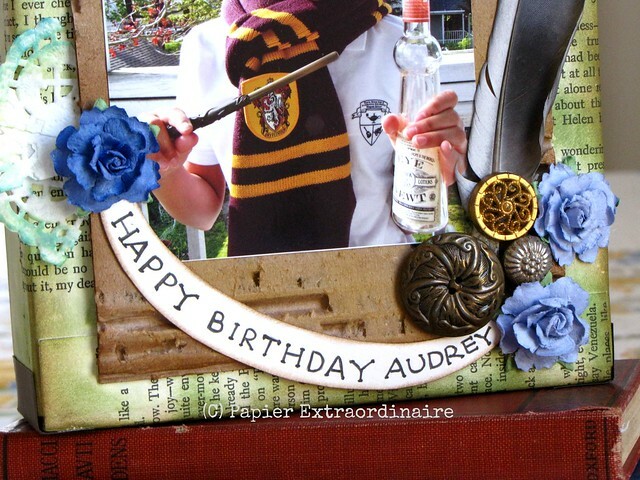 Our younger daughter’s birthday is approaching and I wanted to make her something special, not just a regular birthday card. I used the photo of her that I took last year on her birthday. She’s into Harry Potter story, so she put on the get-up pretending to be one of the accepted student of Hogwarts. 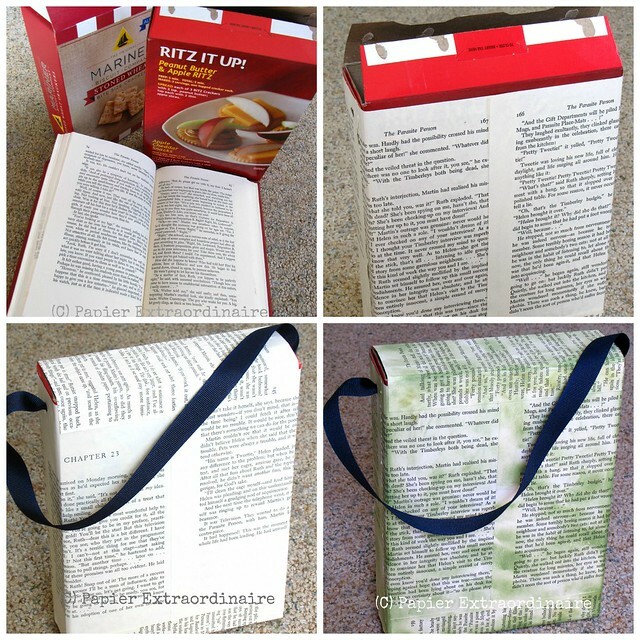 I used a used-snack box for the main material and several pages from an old book. The base to place the photo is from a piece of cardboard. I also used some vintage buttons for decoration and a bird feather (that I found during my morning walk). 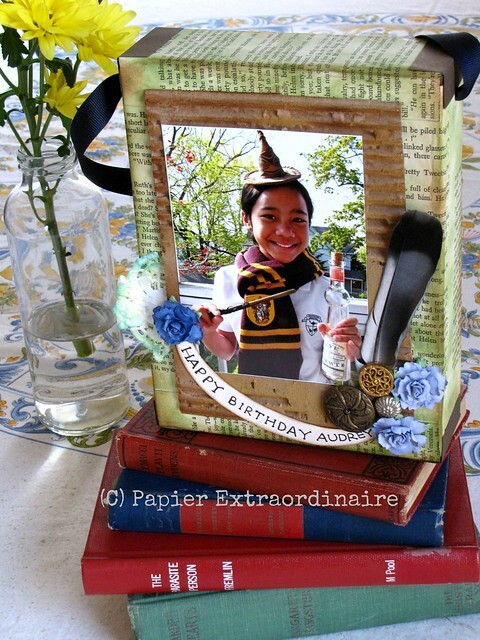 I chose a vintage-look style to match the idea of the magic world of Harry Potter, with my daughter’s favorite colors in mind too. Other decorations (bird feather, paper flowers, piece of doily). Prepare the snack box, cut off the small flaps at the opening. Adhere the old pages unto the box, layer by layer covering up the whole box (not the top part. Make two holes on the sides of the box, and insert the ribbon/string into the holes and make some knots. 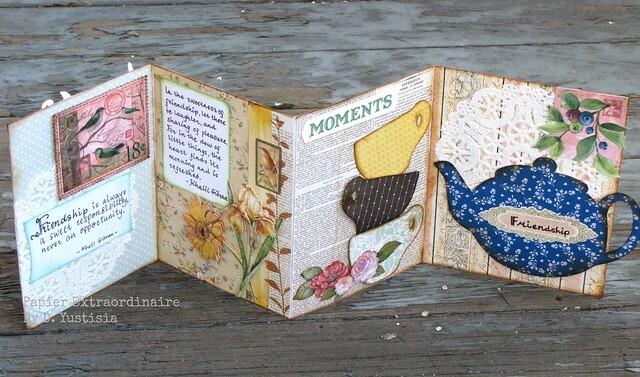 Crumple some old pages and stuff them into the box. Close the box and glue it. Cover the top part of the box with the old page. 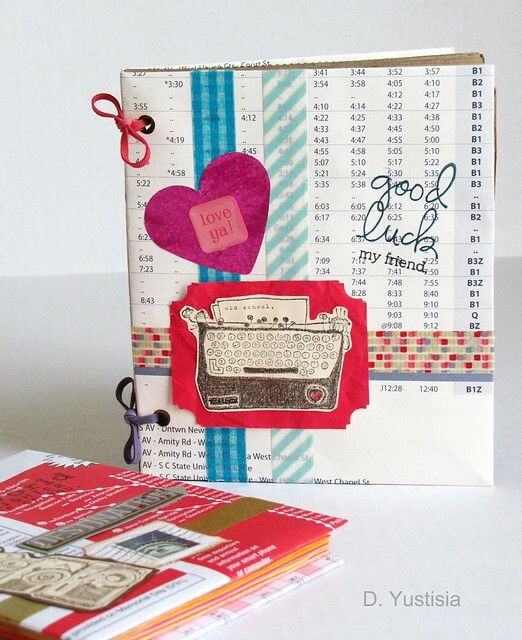 Color the covered-box with green ink stamp, dabbing it like so to create a vintage look. Prepare the used-cardboard piece by stripping one part of it. 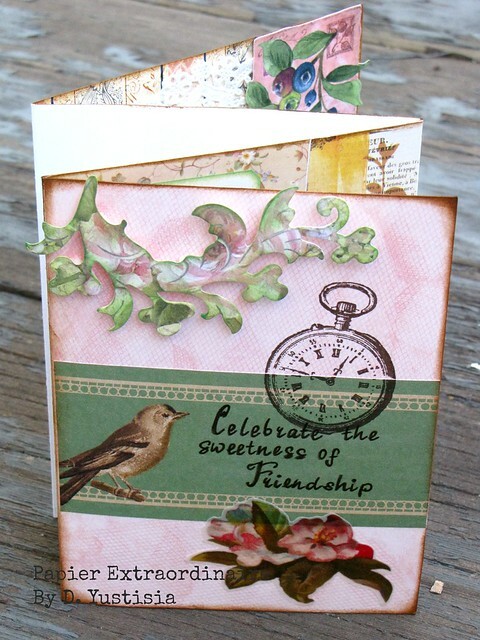 Color it with vintage photo ink stamp. Adhere the photo unto the cardboard piece. 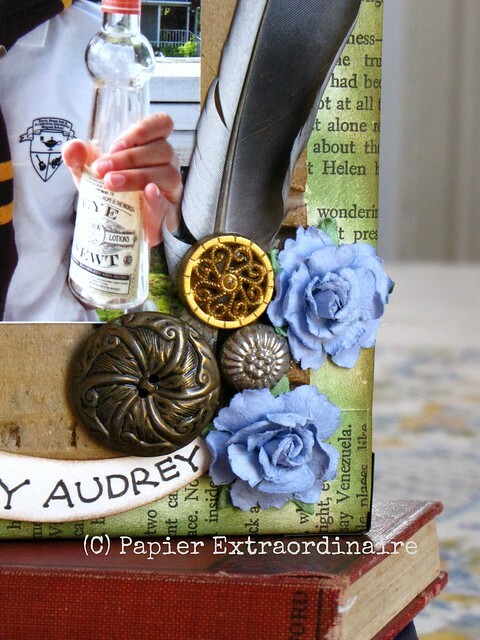 Decorate the box with vintage buttons, a bird feather, some paper flowers and the sentiment. 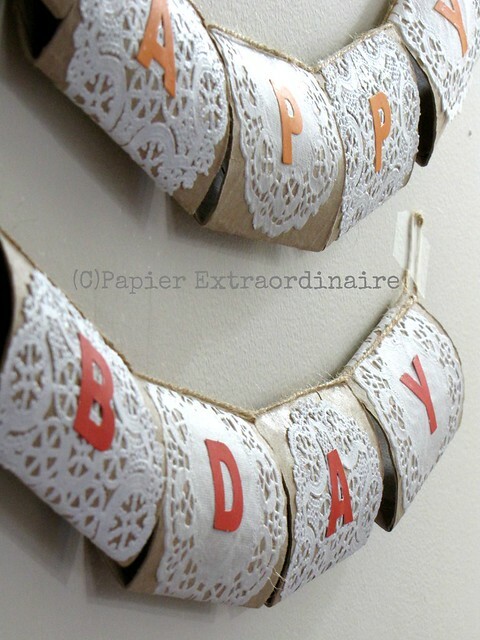 Cut some paper scraps into 4 parts and cover all the box corners with them. 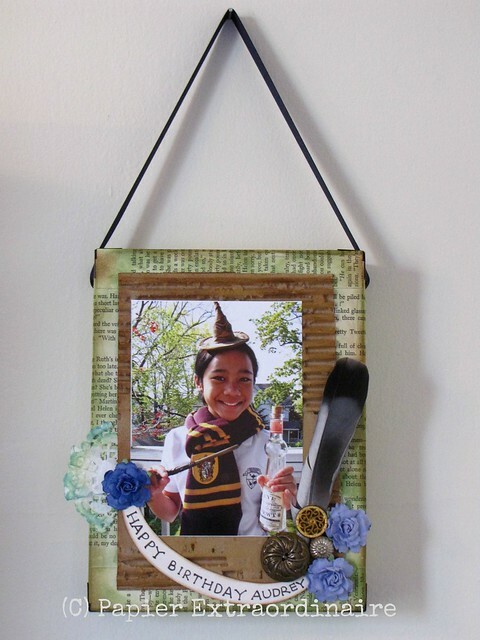 Hang the scrapbook box in your favorite area of the wall. Make sure not to hang it near a damp area. A birthday is always a special occasion to me, especially if it’s my children’s. When my daughter’s birthday was approaching, I felt very nostalgic inside. All the milestones that she’s been through, played in my mind from an invisible projector. One by one was shown from the time I was in labor with her for 26 hours, to the first time I held her. From the moment I held her hand and she made her first steps, to the recent time just two weeks ago, when I told her she got accepted into her favorite high school. She screamed overcoming with joy, then cried and embraced me. Her head on my left shoulder, just like when she was a baby, that was her favorite place to be. My daughter is taller than me now, and she really can hold her head high, full of confidence wherever she is. Although at some points she would behave like any teenage girl, nagging me like crazy with the words “Can I?”, I love her anyway. I admit, I like impressing others through my art works. Although, not every time I would create something for someone, one admiration is more than enough when it’s coming from a very special person. The special person that will receive the handmade mandala that I made yesterday, is my children’s senior music teacher. Grace was my oldest daughter’s ensemble teacher then, now is my son’s. We’ve been involved with many musical activities with her through the years. She plays violin, viola da gamba, recorder and also is a very excellent drawing artist. 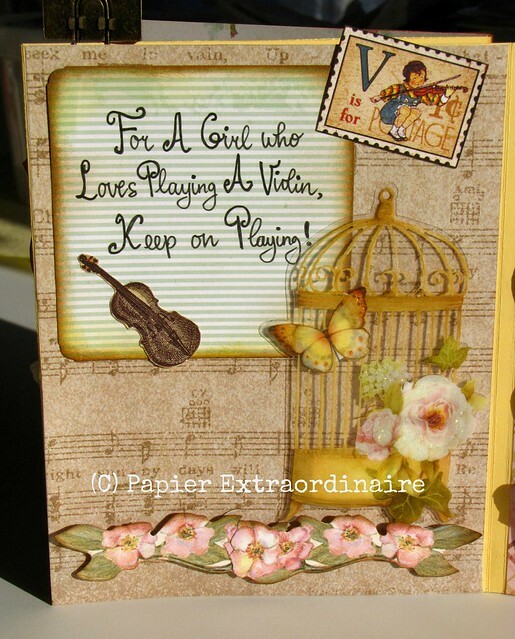 One day Grace approached me and said,”I heard from Sarah (my son’s recorder teacher) about your greeting card”. 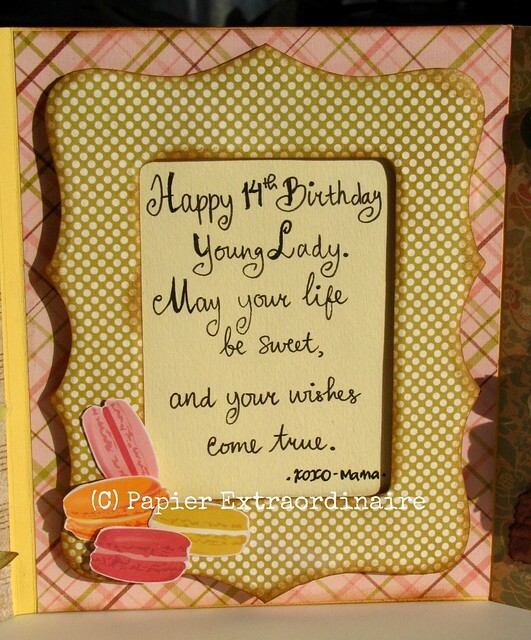 After that, I enjoyed making cards for her for Christmas or her birthday. She collects some of my sketches that I drew during her rehearsal with the ensemble class. I feel very related to her in a way artist sees other artist. For her upcoming birthday this weekend, there’ll be a musical party in the theme of Baroque Play-In, like last year. Young and old will involve and play together on Saturday, and we’ll have lots of fun. 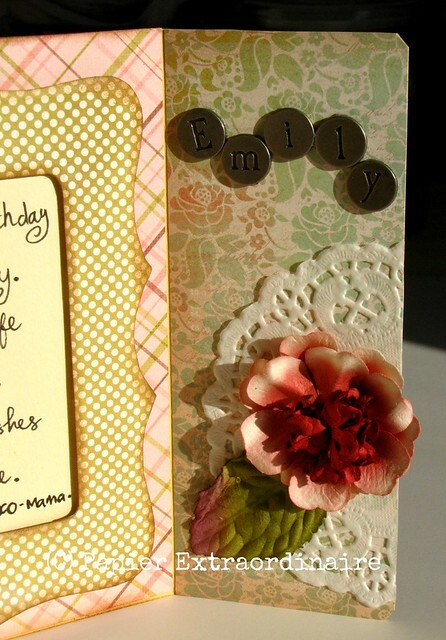 At first, I was thinking of giving Grace another birthday card, but then I changed my mind. Because whenever I was in her studio, my mind became enticed by the many drawings, and interesting things that she put to decorate her studio. So I thought, perhaps she’d be happy to accept a handmade gift from me in a shape of mandala. 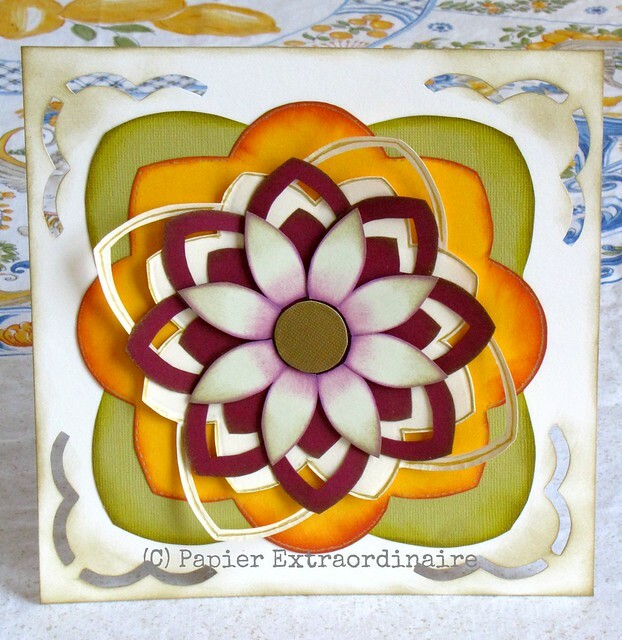 I chose to create a mandala, because of the intricate design it has and the representation. Mandala basically means circle in Sanskrit. It’s the way we see universe as a whole out of the many shapes and patterns, also colors. Last night I started my project of making the mandala and before midnight, it was finished. I am ecstatic with the outcome and love all the details. 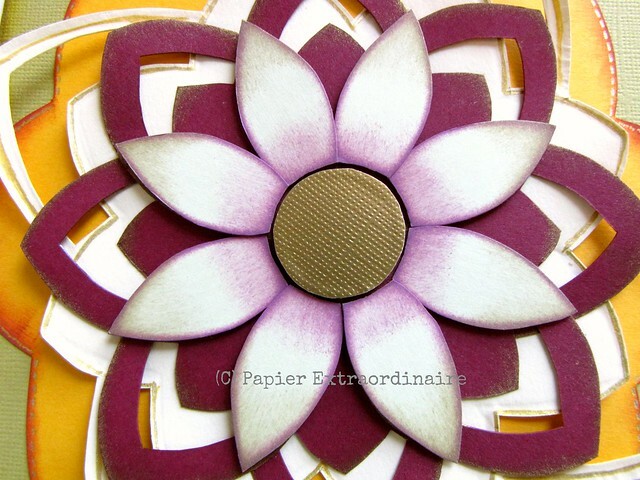 I used several types of cardstock papers in different colors. To highlight and put some colors unto the mandala, I used gold-ink pen and ink stamp. 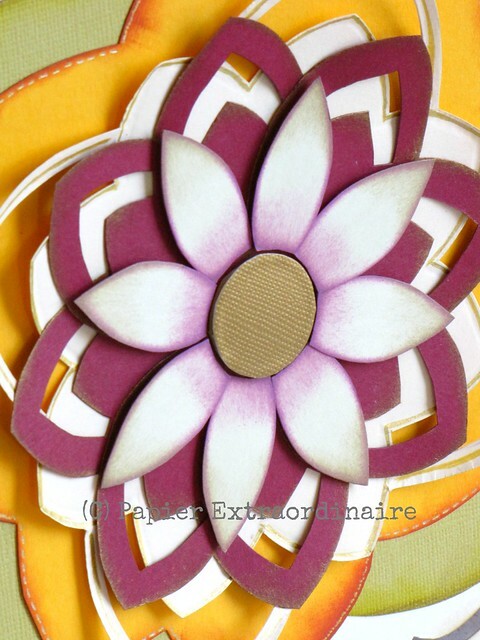 This colorful daisy mandala will be kept in a shadow box and be ready for Grace’s birthday present. To know more about MANDALA, visit this link. I just love reusing things that can still be reuse. 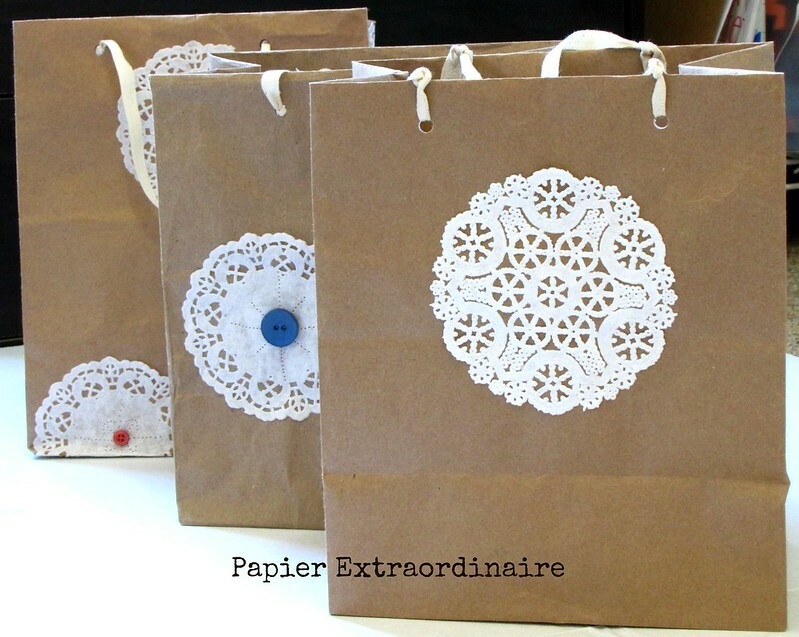 For this reason, I used the piles of take-out bags and turned them into pretty gift bags. I believe some of us keep the bags from ordering food as take-out or bringing food home in a doggie bags from a restaurant. 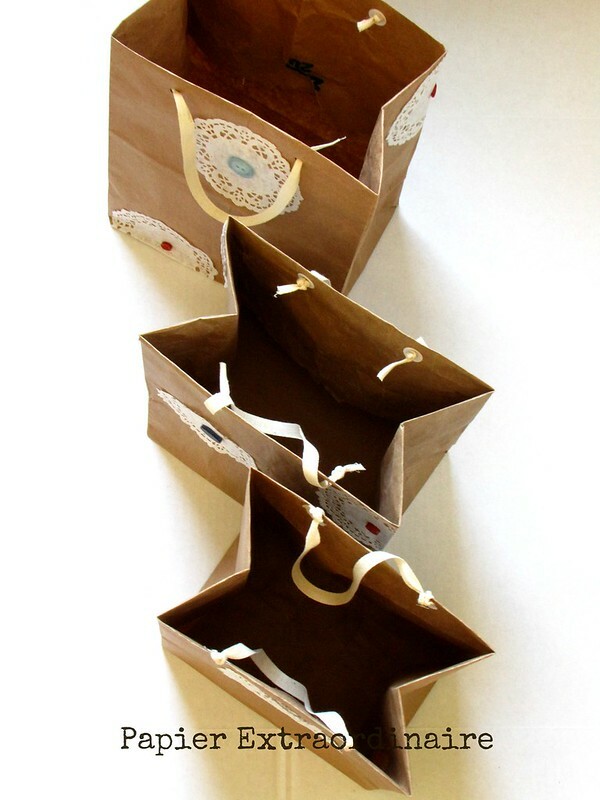 So, why not reuse them for something like gift bags, that in this holiday season will be so useful to send out some gifts. 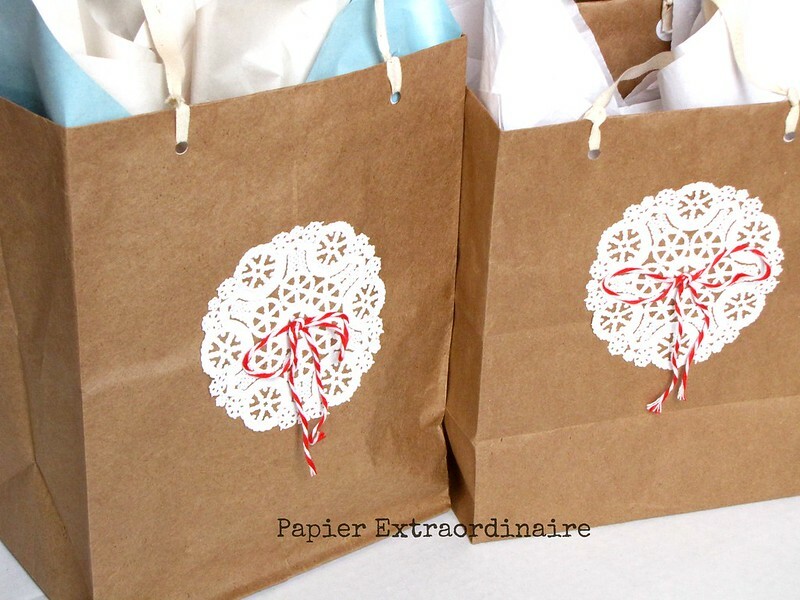 Turning the take-out bag into a gift bag is so easy, you can even ask your children to help you with it and even personalize it with their own flair. Fold the take-out bag into 2. Open the bag, and fold the half-part of it inward, adhere with glue. Punch 4 holes on the wide sides of the bag. Adhere the hole reinforcements on the inside part of the holes. Tie 2 ribbons/yarns/strings/twines and make very strong knots. Cut-out the old cardboard into certain size for the base, and put it on the bottom of the bag. 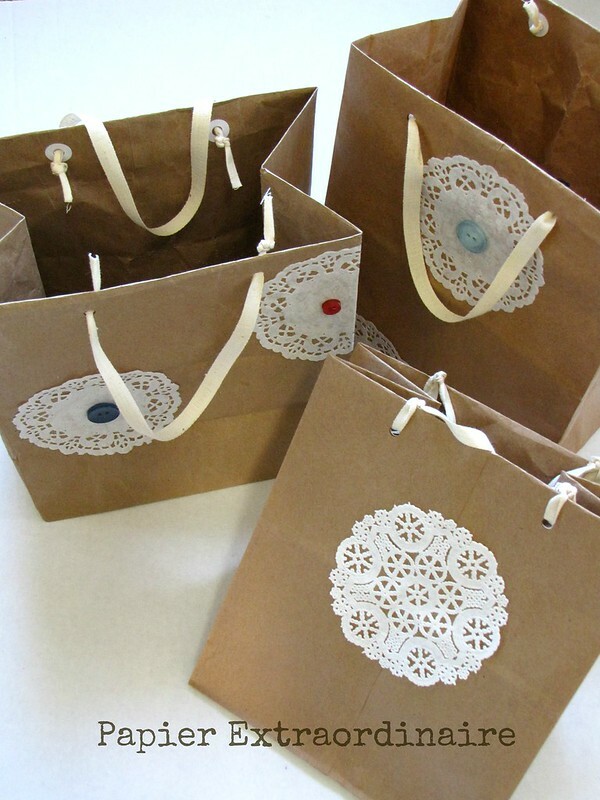 – Adhering some doilies, and old buttons, then prick the bag making snowflake patterns. 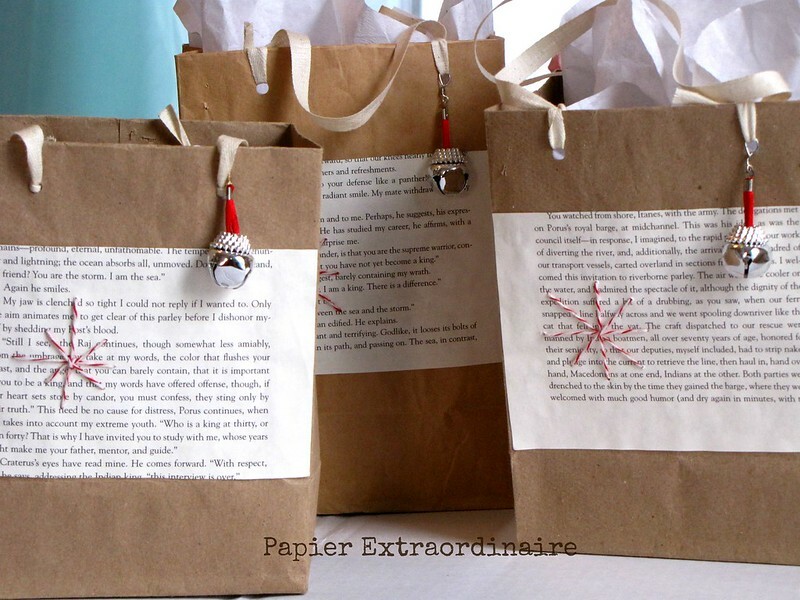 – Adhering cut-out old book pages unto the side of the bag, and sew baker’s twine to make star pattern. – Put something fun and cute like a bell dangling from the bag holder. To me everyday is a craft day, and with the school’s almost over, the hand-outs I’ve received through the whole semester become overwhelming, especially with three children. When each of them handed me more than one school flyer, reminder, old test, etc., they accumulate plenty. 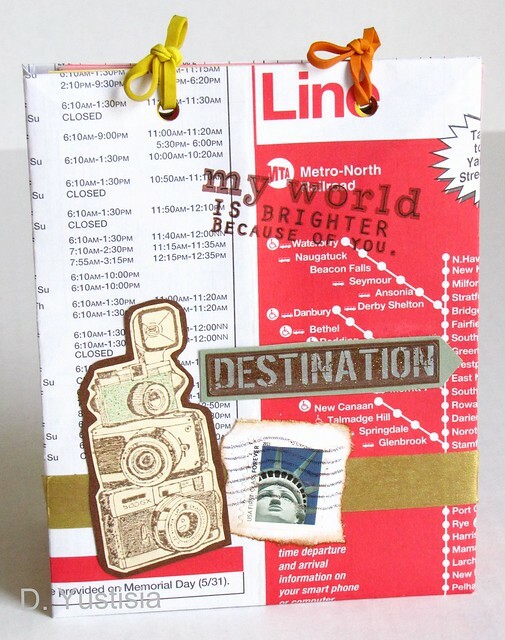 I think of the best way to reuse those papers and also the old bus and train schedule that we rely upon a lot of times. The whole notebook was made out of recycle materials, therefore I’d like to think I help the earth a little bit. When my daughter asked me to give a presentation for college day, I brought along my works including these notebooks. 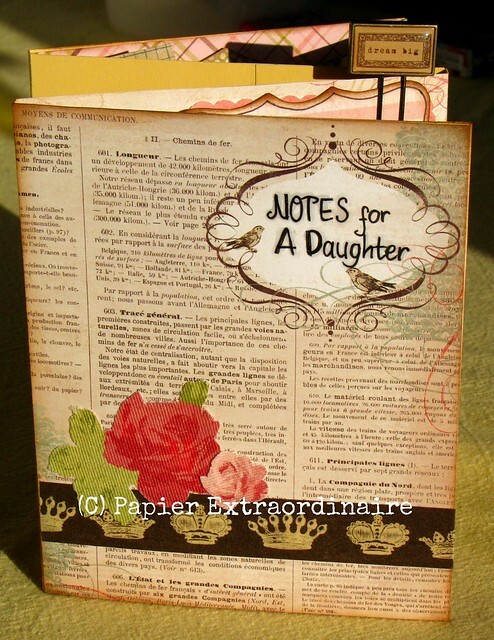 Afterwards, I was invited to teach the 5th grader in my daughter’s class to create the notebook. I really had a great time showing the students how we can manage to use whatever materials from our house and make it into something useful and pretty too. school hand-outs, fliers, announcements, etc. Fold the school hand-outs or fliers into four and cut it. Do it as many times as you want until you reach the amount of pages you need. Cut the box apart, and using one of the cut-up hand out, measure it and cut into the same shape. Make sure you leave a small space around the measurement, so the box won’t be too small for the covers. Cover and adhere the cut-up box with the bus/train schedule, then fold and adhere the remaining paper at the back of it. Make another one, and these will be the front and back of book cover. Punch two holes on each cut-up school hand-outs and also on the front and back cover. 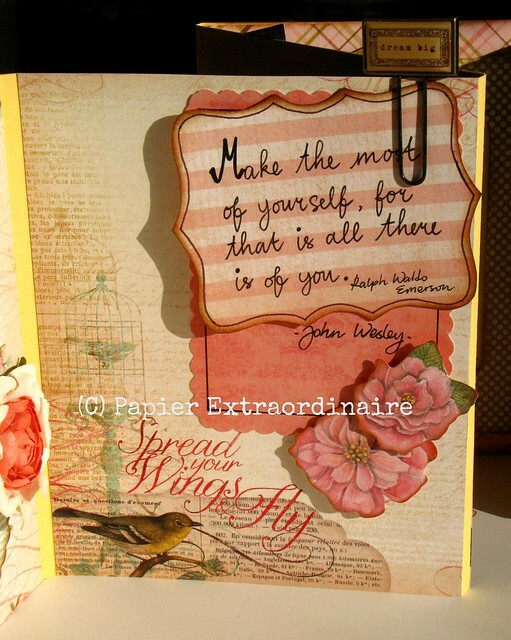 Insert one rubber band into each hole on the cut-up hand-outs and the book cover, and tie it. Do the same thing for another hole. 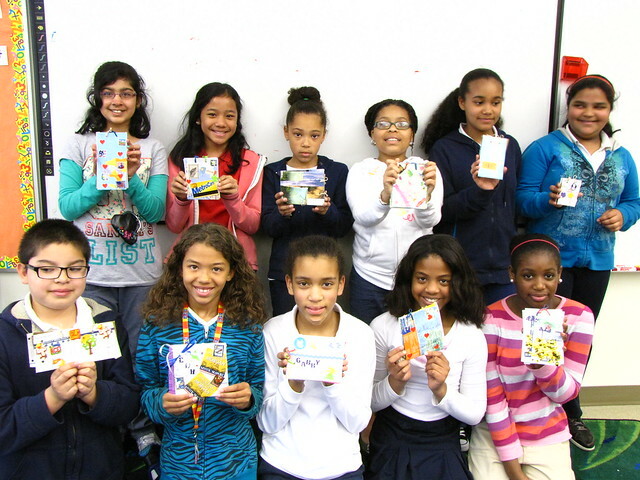 Picture of the students I taught with their own handmade notebooks.